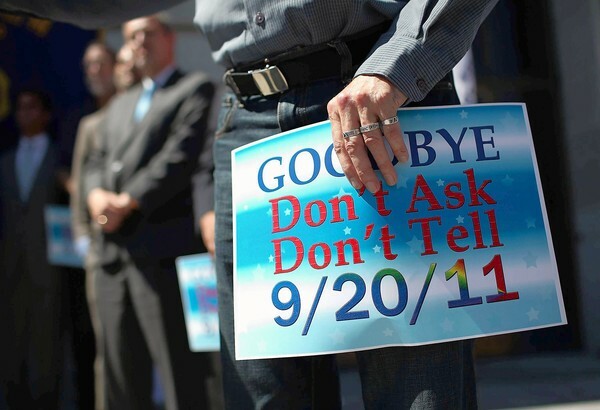 Tuesday, for the first day, the Don’t Ask, Don’t Tell policy was officially no more. Countless American servicemen and servicewomen are now able to freely come out and proclaim their sexual orientation without fear of being dismissed from the military. Today, many military members came out and proudly told the truth about themselves. No longer do these men and women have to worry about saying something or doing something that would out them and result in them potentially losing their careers. The original repeal of the policy was passed in December after hard pressing by Obama, but there was a delay in officially removing the policy so the members of them military could be adequately trained to deal with the new aspect of serving along openly gay and lesbian troops.